Come Aboard Productions develops, finances, produces and markets feature films based on culturally relevant American stories that appeal to audiences worldwide. With industry insight and vast marketing and business experience, our team is uniquely positioned to capitalize on market opportunities. 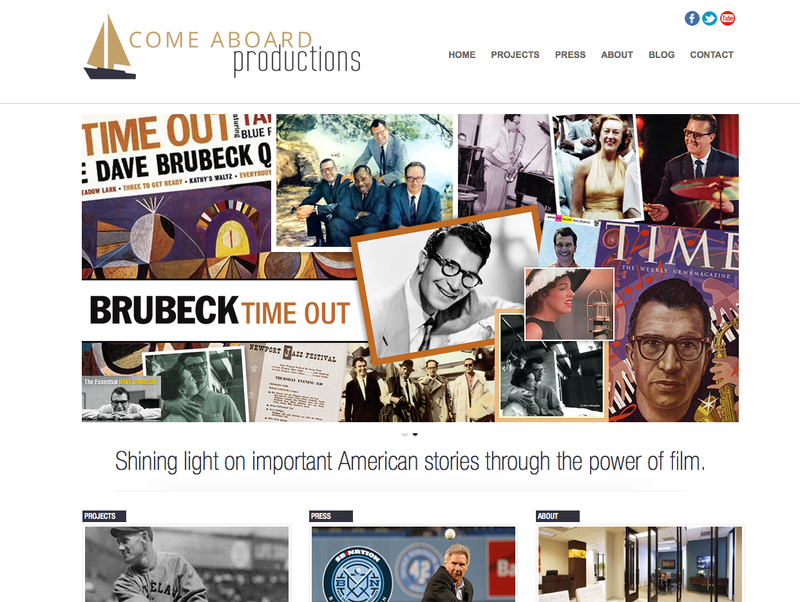 The team at Come Aboard Production requested an elegant and easy to navigate website that featured their current list of “In Development” productions. The site features beautiful collages created from archival photography. The inspiration of the Come Aboard Productions logo based on a word cloud. An alternate version was created for the header but still impactful.